It’s never been easy to be a physician, and in many ways the pressures on practitioners are only getting worse. This is why I’ve been a longtime admirer of what David Edward Marcinko does with his writing and knowledge of medicine and medical practice. Dr. Marcinko’s books provide guidance for physicians – helping them to survive organizationally, administratively, and financially so that they can continue to serve their patients. Helping fellow physicians in one way or another often figures into the motivations of those who have left the joys of a medical practice to pursue healthcare from a different vector. Some are called into research, giving up the rewards of helping individuals with the hope that they might contribute insights that can lead to the helping of many. After medical school, my own path took me to the University of Pittsburgh and a doctorate in medical informatics, with visions of helping physicians help their patients through better management of data. Fortunately, I see that vision coming true, especially as I work with my colleagues at Microsoft to create a secure informational infrastructure that gives physicians the information they need at any time, and at any place – including over a wireless device as they attend to a patient at bed side. We call this initiative to provide seamless, yet secure, access to data on an anytime, anywhere, basis Healthcare Without Boundaries. Though we are proud of our proud of our work, the great wonders come from what we see after we release our products, as physicians do things with our software that we never envisioned. Physicians, by nature – or through selection and training – have a scientific mind and a driving curiosity. Over and again my colleagues and I are dazzled by what physicians are creating by using our technology in unexpected ways. And, it is often the work done by private practitioners looking for ways to create their own solution, because they either couldn’t afford a pre-packaged one, or couldn’t find a solution that answered their creative visions. Physicians, especially those in private or small group practice, are under great stress today. But they are buoyed by a passion for their work and dedication to their patients, and they are extremely resourceful with the brilliance and ingenuity that comes from the curiosity of the scientific mind. Medical Economics magazine recently ran a story about Robert Novich, a New Rochelle, New York internist who needed an electronic medical records system for his solo practice. Suffering from sticker shock and the inflexibility of the commercial eMRs he looked at, he decided to create his own – using Microsoft Word and a fax machine. Lab reports and other documents received by fax are directly imported into the computer for digital storage. Working with his son Jeff, who was a college student at the time, Dr. Novich created a system that uses Word templates to simplify creation of medical records; and Explorer to provide instant file access; slashing time from pulling information out of file cabinets. The system also creates and manages electronic prescriptions. This book is filled with a wealth of information on how to survive the financial, administrative, and regulatory pressures that could otherwise draw down on the time you want to spend with your patients. 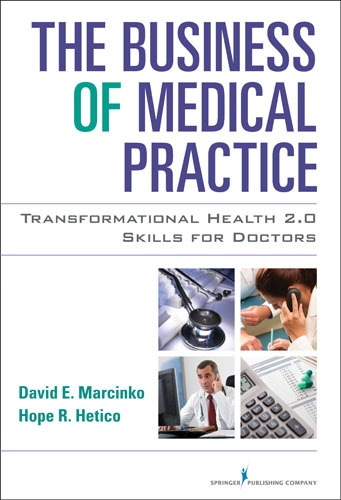 Dr. Marcinko and his contributors cover the spectrum from developing a medical office business plan for the new practitioner, to placing a value on a practice for the retiring physician preparing to sell. A sampling of topics includes: human resource management and physician recruitment, marketing, insurance coding and health-law compliance, process improvement and medical care outcomes tracking, cash flow analysis, office expense modeling, cost accounting, practice benchmarking, financial and ratio analysis, ROI calculations, CRM, six sigma initiatives, concierge medicine and medical ethics. Throughout this book a common denominator is the need for acquiring and managing information. Fortunately we live in a time when information technology is providing ever more benefits with an ever lower threshold – both financially and technically. For less than $500 you can buy a computer today that has a more powerful central processing unit and more memory than the multi-million dollar mainframes and super computers that were enshrined in regional banks and university research centers in the 1980s. And the advent of point and-click interfaces and drag-and-drop development environments mean that everyday doctors can do extraordinary things. Microsoft recently sponsored a contest looking for innovative ways in which our Office suite of applications had been used by healthcare workers. The response was overwhelming — not because of the technology, but because of the innovative ways it was being deployed to solve real-world problems. Cecil Lynch, an M.D. and medical informaticist who teaches at the University of California at Davis is using Microsoft Access to help the U.S. Center for Disease Control (CDC) enhance the efficiency of its disease surveillance system. Dr. Duke Cameron of the Division of Cardiac Surgery, Johns Hopkins Hospital, came up with the idea of using the Outlook Calendar to schedule operating rooms, to help assure the OR is properly setup with specific implant devices and other special equipment or supplies before the surgical team arrives. Nick Hoda, a psychologist-in-training at Mississippi State University, uses Microsoft Excel charts and graphs to show his elementary school clients coping with learning and behavioral problems – that their behavior really is getting better. He uses the same charts with teachers and administrators to win his young clients another chance at the classroom. My favorite story, came from Dr. Thomas Schwieterman, a fourth-generation physician working in the same medical office his great grandfather established in 1896 in the town of Mariastein, Ohio. From those same historic environs, Schwieterman has used Microsoft Access to create his own physician assistant application. The Schwieterman Family Physicians practice kept him so busy that he was wondering how he could keep up with his patient caseload. Schwieterman wanted a faster way to handle prescriptions, provide medical information, and record data for his patient records. He walked into a MacDonald’s restaurant one day and had an idea. What my friends at Microsoft especially like about this story is that when Dr. Schwieterman’s colleagues tried his program, liked it, and suggested he try to sell it, he put together a PowerPoint presentation – and landed a partnership agreement with a major healthcare supply and services corporation to market his ChartScribe solution. So, the pressures facing physicians are great, but so are their resources. Information technology is one resource, this book is another, but the greatest of all is the innate curiosity and drive to discover and create that seems to be so much a part of those who are drawn to this noble profession. 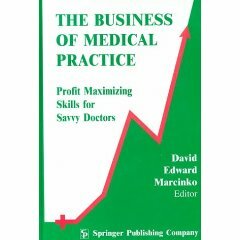 In the current healthcare insurance crisis, THE BUSINESS OF MEDICAL PRACTICE (Profit Maximization for Savvy Doctors) is a first edition textbook of specific value to all medical practitioners, since declining re-imbursements, increasing expenses, federal regulations, and even Wall Street are all raising havoc with physician income and patient care. Contrary to conventional wisdom, we do not believe that draconian free market competition will dramatically reduce healthcare costs, for four reasons. First, it is difficult to define medical quality. Second, a perfectly competitive marketplace does not exist. Thirdly, American society is not ready for the brutally rational efficiencies of the business world. “Above all else”, medicine is a uniquely personal experience. On the other hand, we are pragmatic and realize that practicing healthcare providers of all independent degree designations (allopathic, osteopathic and podiatric physicians, dentists, optometrists, chiropractors, psychologists, physician assistant’s, physical therapists and nurse practitioners), must learn to better compete in the next decade. Ultimately, practitioners who seek to be clinically and economically responsible are the wave of future. It is the physician-executive with MBA or managerial training, who can best direct future systems of autonomous care, with improved outcomes for patient, payer and physician alike. The information in this text will help achieve this goal and is most applicable to the solo or small group practice; or for those who aspire to be decision makers. For the employed physician or resident, it will also serve as a blueprint for what can still be achieved. And, for the practice administrator, it will serve as a guide to the next generation of medical networks, IPAs or more complex large group management endeavors. THE BUSINESS OF MEDICAL PRACTICE (Profit Maximization for Savvy Doctors) is written in prose form, using non-technical jargon, without the need to document every statement with a citation from the literature. This allows a large amount of information to be condensed into a single and practical volume. It also allows the reader to comprehend an important concept in a single reading session, with a deliberate effort to include germane examples with updated information. The interested reader is then able to research selected topics. Overlap of material has also been reduced, but important concepts are reviewed for increased understanding. The textbook itself is divided into major three major sections, written by 20 contributing authors, and with the concepts developed in Section II (quantitative) and Section III (contemporary), building on those of Section I (qualitative). Each section is then divided into multiple parts, for a total of 25 logically progressive, yet stand-alone, chapters. Chapter 1 briefly reviews the history of healthcare economics in the United States; from the days of private pay, to indemnity insurance and the “golden era of medicine”, to contemporary managed care. Chapter 2 discusses the uses and abuses of restrictive covenants in physician employment contracts, since more than 40% of the nations’ contemporary physicians are now employees rather than independent practitioners. Chapter 3 focuses on office labor cost reduction tactics through permanent outsourcing and employee leasing options, as human resource management is the major expense driver of any medical practice. Chapter 4 surveys the management information technology (hardware and software) required for the modern digital office, while Chapter 5 extols nuances of proper CPT coding and documentation in a skeptical payer climate. The basics of capitation contracting econometrics are examined in Chapter 6. Chapter 7 provides strategies for effective managed care relations by understanding, obtaining, negotiating and servicing managed care contracts, and Chapter 8 represents a legal discourse on non-clinical risk management issues, as Section I is concluded. Section II begins the quantitative aspects of the book, as Chapter 9 investigates the perils of indiscriminate cash flow control in rising, declining and neutral growth environments. Chapter 10 presents basic concepts of fixed and variable office cost behavior, among others, while Chapter 11 reviews activity-based-costing as a watershed concept to most physicians that has become the costing method of choice in the hyper competitive environment. Chapter 12 explores advanced cost-volume accounting techniques, emphasizing the non-traditional contribution margin approach to the income statement, with numerous spreadsheet examples to enhance understanding. Chapter 13 introduces vital financial methods to calculate and augment return on office investment and its resulting residual income. Chapter 14 on financial ratio analysis represents the economic benchmarking equivalent of the clinical outcomes chapter; and surveys the typical office for lost sources of profit. Chapter 15 highlights the business philosophy required to create real practice equity value in an era of healthcare mergers and acquisitions, while Chapter 16, on practice valuation techniques, concludes the section and emphasizes the discounted cash flow method of appraisal since bricks and mortar are becoming increasingly worth less. It is an important chapter for the retiring practitioner in the quest for a proper payoff after years of hard work. 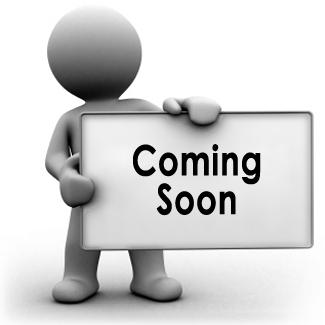 Section III of the book begins with Chapters 17 and 18 and provides utilization review, and clinical benchmarking information respectively. Chapter 19 discloses the contentious issue of medical anti-trust and the ERISA managed care exemption. Chapter 20 offers a sobering musing on change management and the new role of the physician as follower, rather than leader, of the healthcare revolution. Chapter 21 critiques Wall Street’s newest security machination, the PPMC as the initial euphoria, debacle and future of this business model is discussed using real-life examples. Chapter 22 redefines the standard of medical care to incorporate insurer financial restraints, while Chapter 23 similarly opines on the ethical and moral issues of managed medical care. Chapters 24 presents important asset protection strategies useful in an increasing litigious atmosphere, and Chapter 25 rightly concludes the third section, and book, with a discussion on choosing the business management advisor that represents the best fit for both the office milieu and individual practitioner. In conclusion, as you read, study and reflect on this challenging textbook, remember the guiding philosophy of Eric Hoffer: “In a time of drastic change; it is the learners who will inherit the future. The learned find themselves equipped to live in a world that no long exits”. Good medicine, Good business and Good day!